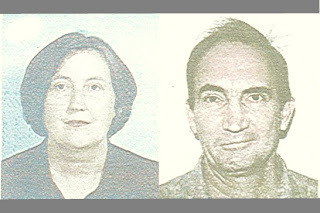 At least having to replace our passports mid-term gave us an opportunity to get a hold of some photographs which have a vague resemblance to the people actually presenting the documents. I'm not sure what the images in our old passports were supposed to represent, but I know the gentleman at least, had difficulty convincing more than one stern border guard that he was indeed the person in the picture. I smile at the thought of the new owner of the stolen passport, trying the asymmetric squint to provide a more convincing likeness in a last ditch effort to cross from Estonia into Russia, but to be fair, I have long held the view that if one looks anything like ones passport photograph, one is too ill to travel. "Gee, you're looking much better after your break." are the new ones better? ?